The town mill is/was the best place for local bands and upcoming music and now it seems it is now time for the place to close. I stopped drinking a few years ago so i’m not bothered about the beer side of it all but i went for the bands, the atmosphere, the friends, a place to get a away from the other places inhabited by narrow minded folks and for memories. Such memories as playing there with a couple of different bands, singing along to friends bands and watching new guys who i’d never heard of before. When i heard that the mill was closing i thought, ‘what about all the bands and the guys who run the place and live there’. What is going to happen to those. The people who ran the place have been lovely and kind to everyone for so long and they have been tolerant and giving and now we can give back. There is going to be a gig on sunday and its supposed to either help keep the place running and/or to give Mr Kev and his family and maybe the staff some money. I say don’t just give it to keep the place running, give your money to say thanks to him and the staff for all the times you wanted to get away from the world or watch a few bands whilst having a drink with your friends. Think of your life without the mill, maybe your friends would be different, maybe your life would be different. So just think before you give. There are many videos of gigs at the town mill on youtube. Here is 8 seconds of my old band playing there. Short and funny. Thanks for reading, hope some of you guys can make it on sunday. Finally did a new podcast today but i couldn’t do much of one due to my laptop and it being broke. Pity but all i spoke about was QED and a few SITP events that are fairly local. So woo hopefully it is absorbed into the beast that is Itunes by now. Might get my ticket after pay day and then it’ll be time to find a suitable place to stay and maybe someone to go with. Episode three is now recorded and now i have to wait until my soundcard on my laptop wants to work. Hopefully it works soon i want it up ready and up tonight. May have to watch some tv to pass the time maybe its time to watch some ‘Takeshi’s Castle’. Anyway todays cast was mainly about homeopathy, mainly i did this for those who aren’t as knowledgable as others in this subject and so it made for some good talking. The theme tune is not yet sorted but the people who are creating it are going to be going to work it out tommorow i hope. I am not in a rush so much but i wouldn’t mind it being finished as then my podcast seems like more of a whole product then. My speaking is also improving a bit but still have a lot of accent to cut out. Plus with it being hay fever season i sniff alot and it can be a pain editing all the little sniffles out. I am going to do another alternative medicine practice next podcast so if anyone wants to suggest one then go for it… I am willing to learn. I still want a co-host too but i have yet to ask the person i want to do it out of the fear of feeling stupid and putting another person in the studio (which is a friends room). We shall see and if i can’t get that person then if you are up for it i may have you as a co-host either at the recording place i am at now if the people who live there don’t mind or i may have to get a time slot at a recording studio i used to work at, which may be easier than getting someone else in my friends house if he isn’t comfortable plus i wouldn’t just want to assume he would be alright with another person he doesn’t know. I wouldn’t mind someone to banter with and share ideas with though…. Awesome. The train was nice, quiet and fast to Nottingham, the place easy to find and the event was just great. Enjoyed it all, even the uncomfortable silence during the beginning when Andy and Hayley found out that Hayleys laptop hadn’t got a VGA port so some nice guy had to pop home to find one with the correct port. Meanwhile everything seemed really quiet and folk didn’t seem to be making any noise which was weird. Even when the guy came back with a laptop it wasn’t necessarily used as Hayley pretty much did the talk from memory. The talk was awesome with some really clever stuff saying from Hayley and a few audience members. The topic was about Paranormal stuff and featured things on EVP, Orbs, Most Haunted and places in which Hayley has gone to and found out that it was basically people trying to scam them and/or places in which other investigators had been and ended up scaring the people in residence and/or didn’t help them whatsoever. We also spoke about what exactly is a ghost and how orbs appear in pictures which made for good discussion. A guy who is going to do another talk at the Navigation was there too, it was Tony Youens who has been on TV quite a few times and here is a link to his site. Pow! It was a pity i had to get the train because my friend wanted to go home early, otherwise i would have stopped to chat as Andy (the organiser) seemed like a really friendly guy and generally a welcoming dude. And of course Hayley was lovely but i was a bit shy at first and was a bit afraid of talking but they were cool. Hopefully i can get to some more and maybe go to other places such as Leicester or Sheffield Skeptics in the pub. I would also like to get more involved in these type of events or even create my own events more local to me sometime. But we shall see in the future i suppose. Ok so today is the day of my going to my first SITP (Skeptics in the pub) and i am so excited. I shall be just killing time before i have to go on the train to Nottingham and then its a case of finding the place called the Navigation which is 6 Wilford Street and it starts at 7.30. The talk is going to be from Hayley Stevens as i have mentioned previously. To attend this meeting i also had to do a shift swap at work which was awkward but on the off-chance the guy who is doing my shift reads this then cheers Grant. I can’t wait but feel as though if there are any really clever sciencey people i may feel rather intimidated intellectually so i may take a deck of cards or some tricks in case i feel i need to defend and then i can seemingly control the person in a sense. 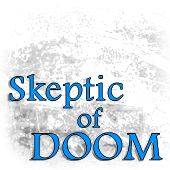 I am taking a friend (Simon; who has told me moaned because i didn’t mentio him by name) also who is into science but hasn’t much of a clue about skepticism apart from what i have told him so that’s going to be interesting in seeing how he responds to the thing. I don’t think he realises how excited i am and that i am going to be taking away ideas from this. For the Nottingham Skeptics in the pub site click here. Anyone else going who has read this? Let me know.